(Reuters) – Russian wheat export prices fell last week due to intensified competition with U.S. wheat for supplies to Egypt, the world’s largest importer and the top buyer of Russian wheat, analysts said on Monday. Chicago wheat prices, the global benchmark, had been falling last week until Friday when they jumped as U.S. wheat became one of the winning origins – for the first time in many months – at a tender of GASC, Egypt’s state buyer. Black Sea prices for Russian wheat with 12.5 percent protein content and for delivery in November were $224 per tonne on a free on board (FOB) basis at the end of last week, down $7 from a week earlier, Russian agricultural consultancy IKAR said in a note on Monday. SovEcon, another Moscow-based consultancy, quoted FOB wheat down $1 at $229 per tonne, with barley prices up $1 at $235 per tonne. 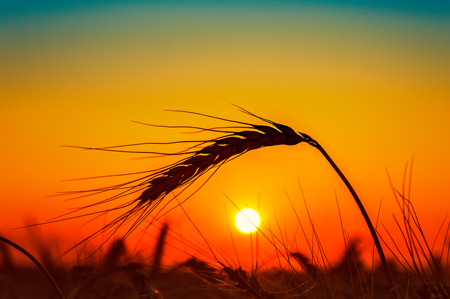 Russian agriculture minister Dmitry Patrushev raised the country’s 2018/19 wheat export estimate at his Friday meeting with major traders, who interpreted it as a sign that risks of export curbs were easing. Egypt’s GASC bought 350,000 tonnes of Russian wheat, 60,000 tonnes of Ukrainian wheat and 60,000 tonnes of U.S. wheat for delivery on Dec. 11-20. The Agriculture Ministry is yet to publish last week’s export data. According to SovEcon, as of Oct. 25, Russia had exported 18.9 million tonnes of grain since the start of the 2018/19 season on July 1. That was up 20 percent compared with a year ago and included 16.3 million tonnes of wheat. Russia is finishing 2018’s grain harvesting and the sowing of winter grains for the 2019 crop. Farmers have sown winter grains on 101.8 percent of the originally planned area. Russia may end up sowing winter grains on a record area of 18.0 million hectares, SovEcon said, adding that most of the European part of Russia saw rain last week and more was expected within the next two weeks. Domestic prices for third-class wheat were stable at 11,275 rubles ($171.5) a tonne at the end of last week in the European part of Russia on an ex-works basis, SovEcon said. Ex-works supply does not include delivery costs. Domestic prices for sunflower oil were flat at 45,175 rubles a tonne, while export prices fell $5 to $655 per tonne, SovEcon said. IKAR’s white sugar price index for southern Russia was at $570.3 a tonne on Oct. 26, up $30 from a week earlier.